Our aim is for pupils to leave Sidestrand Hall with nationally recognised qualifications having exceeded their expectations and ready to take their place in society as well adjusted and happy adults. Below is information on our Governing Body, its members, meetings, and structure. You can also download our Terms of Reference and Committees Document. Hello there, my name is Angela Wrighton and I have been a Governor here at Sidestrand Hall for nearly 5 years. Before that, I was a full time teacher for many years at Cromer High/Academy, where I was also a staff governor with responsibility for SEN and Educational Visits, and took part in staff interviews and appointments. I am still involved with the Academy on a part-time basis, helping with Exams Invigilation, as well as doing occasional supply teaching. My experience in education makes it easier to understand the role of the Governing body, the importance of being involved in the life of the school, and how Ofsted inspections work. My particular interest is in helping to monitor Pupil progress, improving standards in Teaching and Learning, and monitoring the school curriculum. I was born in Leicester and leaving school worked for Midland Bank for 18 years in a variety of branches across the Midlands. I then left and trained for the Anglican Ministry and served in Tunbridge Wells, Chatham and Brize Norton and Carterton. I retired in 2006 and moved to Cromer. Over the years I have been Chair of Governors at four schools and a Governor at another. I joined the Governors of Sidestrand Hall School some nine years ago and have been chair for seven years. I am married with three children and six grandchildren. My name is Paddy Bennett and I am married with 5 children. I live in Cromer and have been in the area since 1979. I work as a youth worker based at the churches in Reepham. I have previous been a governor at another school. I also am a parish councillor as well as a treasurer for a youth club, village hall and playgroup in the area. I enjoy my various roles and I am always looking to see how we can get the best from everything and everyone and improve on what we already have. I am a parent of several children with special needs one of whom attends Sidestrand Hall school. I am a retired social worker and have a keen interest in all aspects of our children’s educational opportunities and aspire to support all the school staff to develop and deliver needs led experiences. I am one of the Parents as Partners governors and want to help further develop links between school and parents. Fiona is married with three grown up children, and has recently relocated back to Norfolk to enjoy her retirement. Most recently she led the European arm of the largest ‘pure-play’ healthcare marketing services company providing public relations, advertising, digital communications, medical education and internal communications to clients across the healthcare and health industry. She has a particular interest in strategic planning and change management. She lives in North Norfolk and is passionate about ensuring every child gets the best chance in life through education. In addition to being a Governor, she is also a Trustee at the Cromer and District Foodbank and a mentor and coach for students and staff at University of East Anglia on a voluntary basis. Hi, my name is Liam Davies. I have been at Sidestrand Hall School since April 2009 where I have had various roles within the school. I am currently the Construction Instructor, where I teach our students basic skills like woodwork and painting and decorating. Aylsham High School also use the schools amazing facilities and send a cohort of both Y10 and Y11 students, where they participate in an Entry 3 level award, in Construction and Mechanics. In my spare time, I like to spend time with my family and friends. I am a keen sportsman and have just completed my ECB (England Cricket Board) Level 2 Coaching Award. I coach 4-8 year olds at Cromer Cricket Club during the summer. I am a mother of 3, my oldest child attends Sidestrand school. I live in Great Yarmouth, so understand the challenges many of us parents have faced in finding a suitable school close to home to cater for my son. I became a governor in order to help understand more about the day to day running of the school and help forge strong links with parents especially those like myself who don’t live close to the school. I have worked in both retail management and care work in the past and since moving to part time work have more time to dedicate to the school and supporting other parents. With the help of another parent governor, we run monthly coffee mornings, holiday play sessions and a Facebook group. I have been a school governor for 14 years in three different special needs schools. I have experience in Finance so enjoy being part of the finance committee. This year I have been asked to take on the role as a link governor to the school shop, Strands. This is a new role as its important we show support and recognise all the help they offer the school. I will also be supporting our new fundraising manager. I first became a governor as I felt it was important to support my sons school. 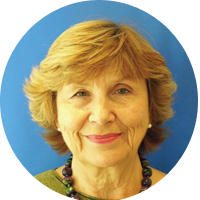 Marion has over 20 years experience as a school governor across a variety of London schools. During that period she also worked as a lay OFSTED inspector. 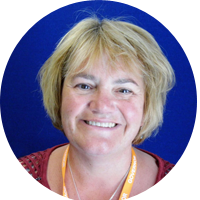 Originally a social worker, Marion now lives in North Norfolk and has a number of appointments including non-executive director of the Norfolk & Suffolk Mental Health Trust. Marion said that as a governor of Sidestrand Hall school her aim will be to both support and challenge the school to become even better than it is now. Vivien has recently moved from Bedfordshire to north Norfolk to retire. 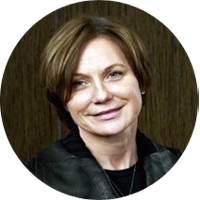 She has over 25 years experience of working with management teams developing and implementing strategy and designing solutions to complex issues across a range of industry sectors. Vivien hopes to draw on her fundraising experience in higher education to support the School in raising additional funds. Vivien is married, has two springer spaniels and enjoys exploring the Norfolk countryside and walking the coastal paths. I have been the Clerk to the Governors at Sidestrand Hall for about 3 years. Previously I was a Class Teacher and I still work as a SENCo, thus keeping up to date with changes in education, legal requirements, etc. I am also a Clerk at two other schools locally. Our Governing Body is complete with our latest Governor joining us at Easter this academic year. The full Governing Body meets four times a year with the three committees meeting each term and reporting back to the full Governing Body. Over the year attendance has been good and all meetings quorate. The Governors come with a wide range of experience and back ground and are selected to offer the school their various skills. The first meeting of the year is combined with a meet the staff session when Governors introduce themselves and staff have the opportunity to ask questions or make suggestions. The Chair of Governors meets regularly with the Head teacher to monitor school life and to support where necessary. Full names of the Governors, individual roles/responsibilities, and attendance at meetings can be seen on the School Website. The School has been part of Trust Norfolk-SEN, a trust of special schools in Norfolk. The aim of the Trust is to promote learning and the interests of the family of special schools and the wider SEN community across Norfolk. However some of the schools have become Academy Trusts and left the group which is likely to be closed as it appears to have no future. The Trust has over the last academic years continued to work collectively to produce the NAPs – the Norfolk Assessment Pathways which is the breakdown of the Levels for assessing pupil progress. The Sixth Form has increased in size and now consists of 4 classes of students following a broad curriculum including Maths and English, but including many options, much off site learning, and work experience opportunities. The Residential Unit has again seen considerable improvement work over the past year, with refurbishment of bathrooms, toilets, a continuing upgrade of furniture, much re decoration, replacement windows, and the laying of new carpets. The Governors completed a once a term inspection of the Main school provision and Clement Lodge, and checked documentation. Ofsted rated our provision Good this year. Clement Lodge has continued to offer first class boarding facilities to the male residents, and is likely to be receiving a female next September. Solar- the on line recording and reporting system has been used consistently over the past year and is helpful in identifying pupil’s progress against the NAPs levels and progress towards Gateway Qualifications. The system is capable of showing academic progress and attainments of pupils. Governors considered the reports of the Headteacher dealing with pupil performance data and challenged their robustness. The use of the Pupil Premium, Year 7 catch up, and Primary PE money has been monitored by the Governors and reports can be viewed on the school website. The Governor led Parents as Partners Project has continued to be successful during this year actively supporting parents / carers with a regular group meeting to share and discuss in the Great Yarmouth area. The school is seeking to replace the old classroom block with a new building and will be liaising with NCC/LA to find out costs and feasibility. The Governors are setting up a Fundraising Group to bid for money to spend on various projects to benefit the children. The curriculum will continue to develop to enable pupils to be equipped for life after school. As the school is growing in numbers and in the light of the differing complex needs pupils have we must be ready to move forward. Staff training will be a priority where the Complex needs of pupils require it. SALT and THRIVE will continue to be an integral part of the Curriculum. The school mission statement begins with ‘Achievement beyond expectation’ and the Governors support the Head Teacher and staff in making this a reality. The ethos of the School is for the staff to be supportive, encouraging and challenging for the pupils and the Governors follow this aim. We will be reviewing the school Ethos, Vision and Values during the next academic year. The desire of the school is to extend the use of the facilities over 50 weeks of the year. We always welcome suggestions, feedback and ideas from parents and carers. Contact can always be made to the Chair, via the school office. Usually the Governing Body is complete but at present owing to various circumstances there are vacancies (one staff, one co opted and one Trust). This is being remedied and it is hoped the Governing Body will be complete by the Autumn Term. The full Governing Body meets four times a year with the three committees meeting each term and reporting back to the full Governing Body. Over the year attendance has been good and all meetings are quorate. The Governors come with a wide range of experience and back ground and are selected to offer the school their various skills. The School is also part of Trust Norfolk-SEN, a trust of 11 special schools in Norfolk. The aim of the Trust is to promote learning and the interests of the family of special schools and the wider SEN community across Norfolk. Governors received reports from the Head Teacher and staff covering aspects of school life. Visits were made, either to individual staff members to discuss a particular topic or to classrooms and reports made back to the Governing Body. There were regular inspections of the school site with regard to Health and safety and to ensure the buildings are well maintained.. Governors also joined staff groups eg Senior Leadership meetings to be involved and to challenge when the School Improvement Plan and Self Evaluation form were reviewed. Safeguarding procedures were updated and reviewed as part of the annual process and governor training undertaken. The new Sixth Form building was opened during this academic year and in September will comprise 3 classes of students following a broad curriculum including Maths and English. The Independent living flat has been used successfully this year by 2 male students. The Residential Unit has seen considerable improvement work over the past year, with refurbishment of bathrooms, toilets, a continuing upgrade of furniture, much re decoration and the laying of new carpets. The Governors completed a once a term inspection of the Main school provision and Clement Lodge, and checked documentation. Ofsted rated our provision Outstanding this year. Solar- the on line recording and reporting system has been used consistently over the past year and is helpful in identifying pupil’s progress against the NAPs levels and progress towards Gateway Qualifications. The system is capable of showing academic progress and attainments of pupils. We considered the reports of the Headteacher dealing with pupil performance data and challenged their robustness. The use of the Pupil Premium money has been monitored by the Governors and a report can be viewed on the school website. The Governor led Parents as Partners Project has developed significantly during this year with a regular group meeting to share and discuss in the Great Yarmouth area. The school is actively seeking to replace the old classroom block with a new building and will be liaising with NCC/LA to find out costs and feasibility. Plans are going ahead to set up a Library for pupils to access regularly on site. The curriculum will continue to develop to enable pupils to be equipped for life after school. Staff training will be a priority where the Complex needs of pupils require it. Usually the Governing Body is complete but at present owing to various circumstances there are vacancies (one parent, one LA and one Trust). This is being remedied and it is hoped the Governing Body will be complete by the Autumn Term. Full names of the Governors can be seen on the School Website. Personal Development, Behaviour and Welfare. These have been restructured over the past year. Every year is a busy one and the Governors receive reports from the Head Teacher and staff covering all aspects of school life. Visits are made, either to individual staff members to discuss a particular topic or to classrooms and reports made back to the Governing Body. There are regular inspections of the school site with regard to Health and safety. The many policy documents are reviewed by the Governors on a regular basis and Governors are encouraged to undergo training to develop their understanding and skills. The finance of the school is presented by the finance staff and agreed by Governors with a regard to best use of money. Safeguarding is reviewed annually and governor training undertaken. After 2 years of frustration planning permission has finally been given for the new Sixth Form building. Work will begin as soon as possible but completion will not be until 2017. The present sixth form of 19 pupils uses class bases created in the school but space is limited. There are 12 new pupils joining in September and once the new build is complete the full complement of 40 pupils will soon be reached. The Independent living flat has been used over the year by a male pupil and has proved a success. There is a provision for another pupil to join him. The Residential Unit has seen considerable improvement work over the past year, with refurbishment of bathrooms, toilets, a continuing upgrade of furniture and the laying down of new carpets. The Governors are tasked with a once a term inspection of the units. Solar- the on line reporting system has been used much better over the past year and is beginning to be helpful in identifying pupil’s progress. The system is capable of showing not only academic progress but all attainments of pupils. A new reporting system to parents has been introduced. The use of the Pupil Premium money is monitored by the Governors and can be viewed on the school website. Now planning permission has been granted the emphasis is on the soonest build as possible and the then further development of sixth form curriculum and planning. Following Government decisions the way is open for the school to make more creative and beneficial use of the curriculum to enable the pupil to be equipped for life after school and work is ongoing in this area. The desire of the school is to make better use of the facilities over 50 weeks of the year. There is also the need to fit the pupils ready for life outside of school as best as possible. The school mission statement begins with ‘Achievement beyond expectation’ and the Governors support the Head Teacher and staff in making this a reality. The ethos of the School is for the staff to be supportive, encouraging and challenging for the pupils and the Governors follow this aim. 2. Holding the Headteacher to account for the educational performance of the school and it’s pupils. 3. Overseeing the financial performance of the school and making sure the money is well spent. The Governing Body is made up of 12 members. The Governors give to the school a wide range of experience and skills and are able to contribute to the effective governance of the school. 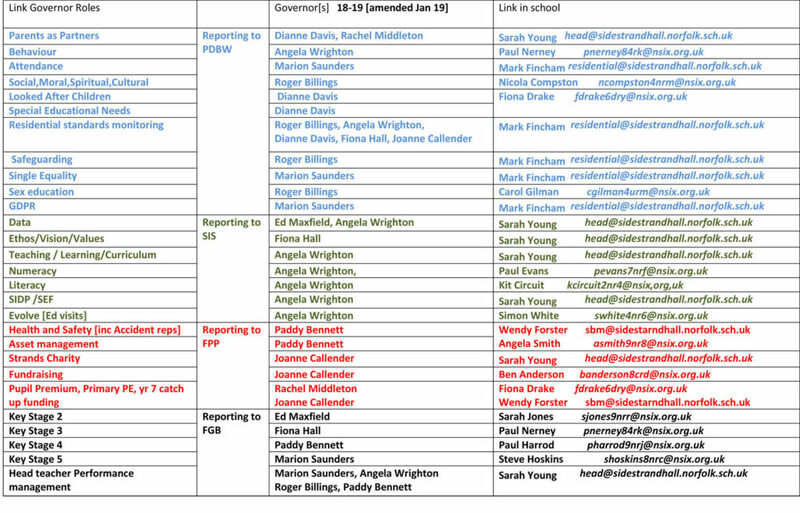 Fuller details of the Governors can be found on the school website. The full Governing Body meets at least once a term with meetings of the committees, Finance and Staffing, Care and Curriculum and Premises and Health and Safety also meet each term and report back to the full Governing Body. Other meetings are arranged as and when needed. Attendance is good and meetings are always quorate. The school is also part of the Trust Norfolk-SEN, a Trust of 11 special schools. The aim of the Trust is to promote learning and the interests of the family and wider SEN community across Norfolk. The school had an Ofsted Inspection in Feb 2015. The report gave the school a good in all areas. There were a few minor comments on areas needing attention and these have been addressed. It has been a busy year with development of the school. In Sept 2014 the school opened Primary and Secondary provision for pupils with Asperger Syndrome. This necessitated the building of a new unit opposite Clement Lodge and the conversion of the science block to a custom made unit. A new science laboratory was also built during the year. Work is continuing on a Supported Living Flat to complement the sixth form. The will give youngsters the opportunity to board up to the age of 18. The proposed sixth form unit has met with continued hold ups over the past year and it is only in November of this year that planning permission will be applied for. Grant monies have been received but there is now a shortfall and new monies are being sought. There are at present 19 pupils in the sixth form accommodated in temporary premises in the main school building with the role rising to 40 next September. A major change in reporting pupil’s progress has been the switch over to Solar, an on line reporting system. This new system when fully functional will give the ability to record all the pupils attainments and not just the academic ones and will enable parents to see the progress of their child at any time. The system is well advanced and will be totally in place by end of this Autumn Term. A new school logo has been designed with the dragonfly motif and new school uniform is available. The use of Pupil Premium in the school is monitored and can be viewed on the schools web site. The School Budget is also monitored each term. A safeguarding report is received each term and reported on. Governors also make a visit to the residential provision of the school each term. The school mission statement is ‘Achievement Beyond Expectation’ and the Governors support the Head Teacher and staff in delivering this to all pupils, in all areas of life. Among the future goals is the provision of the new sixth form units for pupils up to the age of 19 and for all pupils to aid the best transition to education, employment or supported living. There is also the desire of the Head Teacher and Governors to make effective use of the school facilities over 52 weeks. We always welcome suggestions, feedback and ideas from parents and all those with responsibility for the school youngsters. Any contact can be made to Roger Billings, Chair of Governors, via the school office.